Filled Tortillas are one of our favorite, last minute go-to meals. 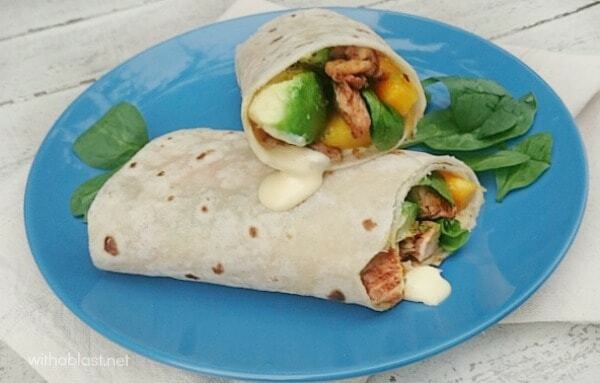 We enjoy these Chicken Avocado Wraps with Chili Mayonnaise for lunch or as a light dinner. Yes, our family does have quite a bit of light dinners. We have never really been into heavy meals, except during the couple of weeks in Winter where we have real cold weather. Make no mistake, I can cook up a storm when I want to, especially when we have leg-of-lamb on the bone – slow roasted in the oven to perfection. At least 2 veggie sides, rice, and here I always break my own rule about no more than one starch in a meal, baked potatoes too ! But, that kind of meal is on the rare occasion. 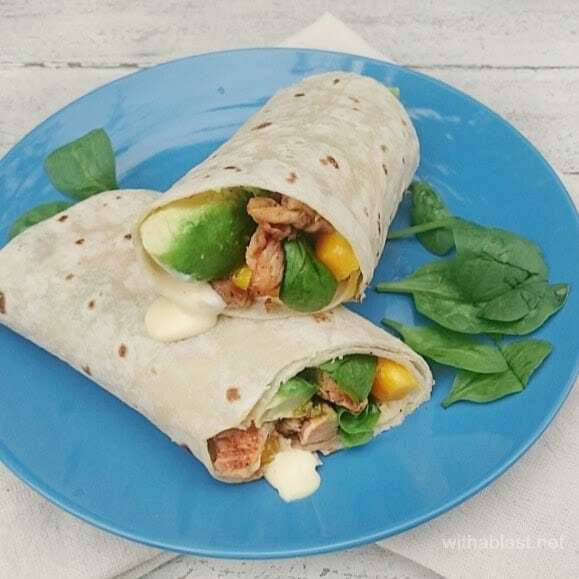 You are more likely to walk in at dinner time, finding us with a Chicken Wrap like this one I am sharing today. Or a stir-fry, or a meaty salad ! The Chili Mayonnaise is so simple to make, but it does need a few minutes standing time, otherwise the sauce will not be as flavorful as it should be. Make sure to give it another good stir just before drizzling over the filling ingredients. ps : Leftover Rotisserie Chicken works great in this recipe ! Serve immediately or keep chilled for up to 3 hours in a sealed container. Love the addition of avocados and mangoes here plus the chili mayonnaise – looks like a winning recipe! My kids do not like avocado, but I wonder if they might do okay with it if I do it like this…. hmmm…. good idea. Your burritos look good. 🙂 Thank you. This is my kind of wrap. So yummy Linda! 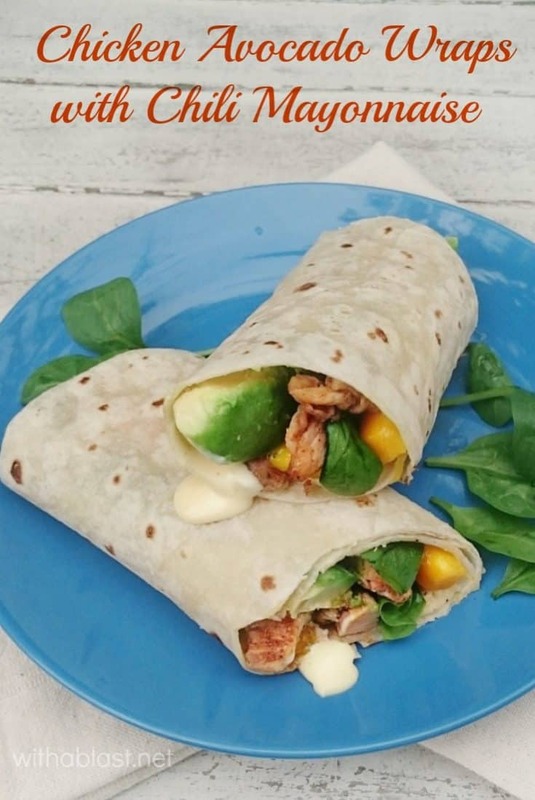 The wrap looks and sounds delicious. I really like the creaminess of the avocados and the chili mayo!